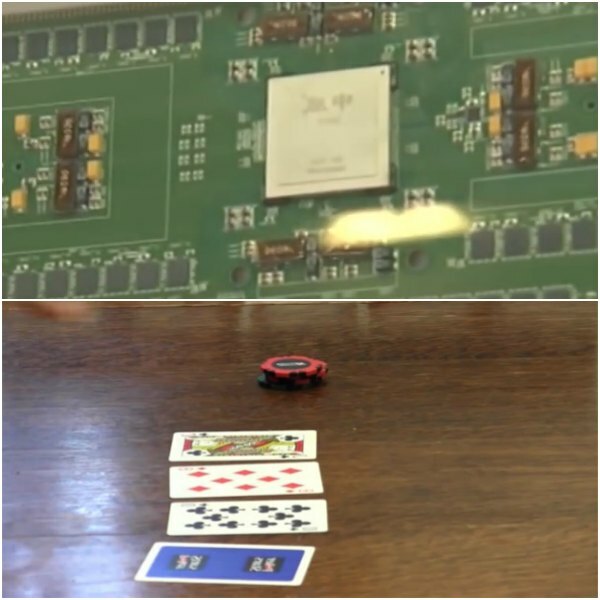 If you keep up with developments in the poker world, you are probably aware of the poker match that took place at the Rivers Casino in Pittsburgh, pitching Libratus, a poker playing Artificial Intelligence against four of the top heads up specialists representing humans. You are probably also aware that after a total of 120,000 hands, the AI marked a decisive and indisputable victory. This was a big shock for the players and a major part of the poker public. Drawing conclusions from the similar match that was held in 2015, where humans decisively defeated the AI named Claudico, everyone expected a similar development. However, Libratus came out playing poker that humans weren’t prepared for, and it wasn’t long before they started to realize this one was going to be much tougher. It is important to note that Libratus was developed by the same group of scientists from Carnegie Mellon University who created Claudico, led by Professor Tuomas Sandholm. Although the new AI was developed from scratch more or less, Sandholm did use the knowledge he and his team were able to gather during the first Brains vs. AI match in 2015. If you followed the 2015 encounter, you probably know that the biggest thing Claudico suffered from was predictability and exploitability. Once players were able to find a certain weakness in Claudico’s game, they were able to use it time and time again, and the AI didn’t really seem able to do much about it. This was gone with Libratus, as the improved AI was able to recognize its own mistakes during self-analysis it performed during the night after every day of play. So, every time human poker players thought they were onto something, the possibility they had recognized was gone the next day. Perhaps it’s time for online Texas Hold’em betting sites to be concerned. Libratus’ moves seemed to make little to no sense. In the face of actions that didn’t seem to make sense, there wasn’t much Les and others could do but scratch their heads, wondering what hit them. They simply couldn’t find the underlying reasons for the plays AI was making and without that crucial part of the information, they were unable to solve the Libratus enigma. Another segment where the AI had humans completely baffled was the aggression factor, and this was most certainly something they weren’t prepared for. Top heads up players are known for well-timed aggression and deep understanding of the game situations, so if there was one part of the match where they could expect to hold their own, that was the aggression. However, Libratus had them at a major disadvantage, because it played the game from an AI point of view, completely devoid of any emotions, fears, or risk aversion. It would bet huge in pots where huge bets didn’t make sense. Frequent over-bets confused players, as they couldn’t tell when it was doing it as a bluff, and when it was doing it to get paid. The ultra-aggressive approach worked well, as players would find out after each session. Since the match was set up in pairs, it meant players and the AI were dealt exactly the same hands. If Player A had Aces against Kings in one hand, Player B would have Kings against AI’s Aces in another. That way, the luck factor was reduced to a minimum, giving even more weight to the final result. Has Heads-Up Poker Been Solved? The results of the recent match certainly seem to suggest so. However, the AI did use the supercomputer worth around $10 million, so it may take some time before we see a desktop version of the ultimate heads-up bot. But, the scientists finally seemed to have cracked the underlying reasons for the 2015 defeat and were able to completely remove the issues. Libratus plays one hell of a game and, as counter-intuitive as it may be, it seems to does so exactly because it is completely devoid of emotions, suggesting that, in the end, Texas Hold’em is just a game of numbers. Everything else is the white noise and makes sense when humans play other humans, but hits a brick wall against a cold, calculated, and merciless Artificial Intelligence.